Baguette Cut Diamond Ring | Diamonds Intl. A Baguette Cut Diamond ring designed to emphasise each diamonds individual beauty. Set in gold featuring Round Brilliant Cut Diamonds to compliment. 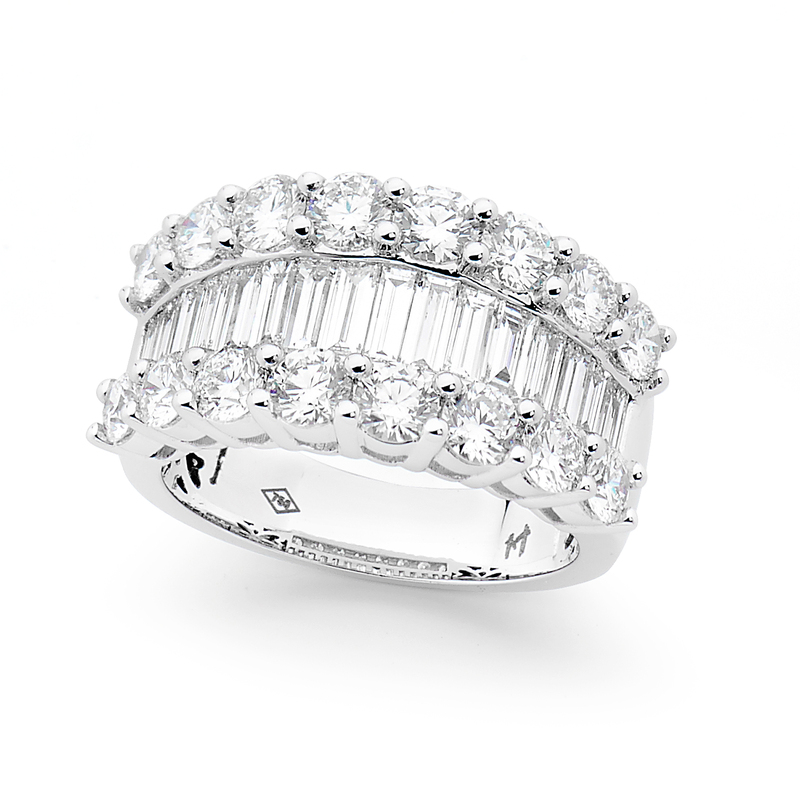 A stunning Dress Ring that will have you being the envy of the party.